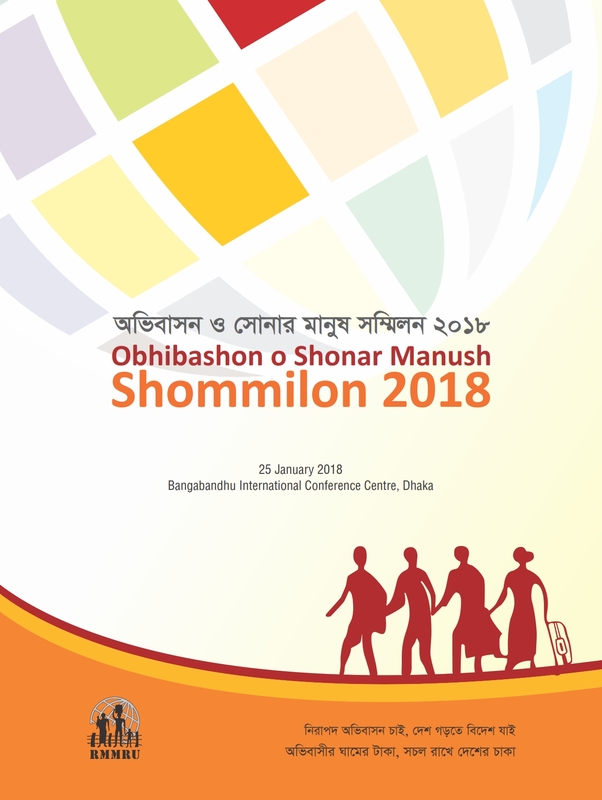 Refugee and Migratory Movements Research Unit (RMMRU) with the support of PROKAS Programme of the British Council organised a grand event the Obhibashon o Shonar Manush Shommilon 2018 at the Bangabandhu International Conference Centre (BICC) on 25 January, 2018. 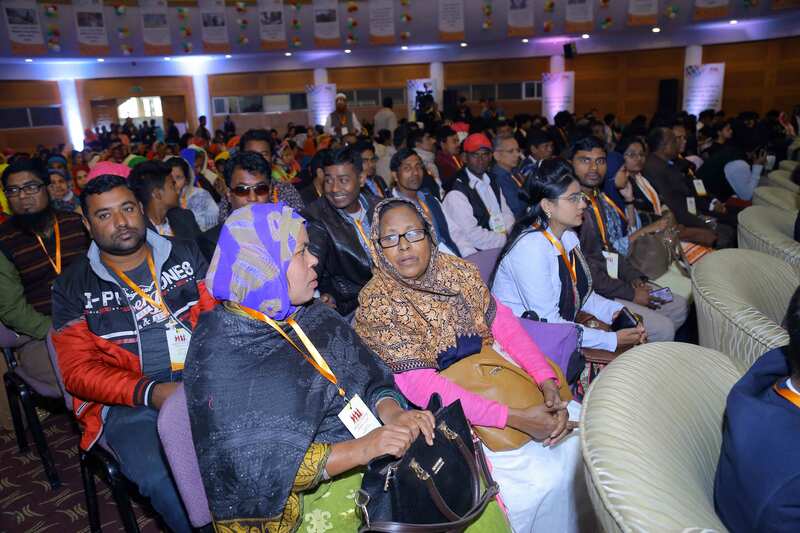 The event was divided into two major portions one being the inaugural session and the other being the concluding and awarding session. 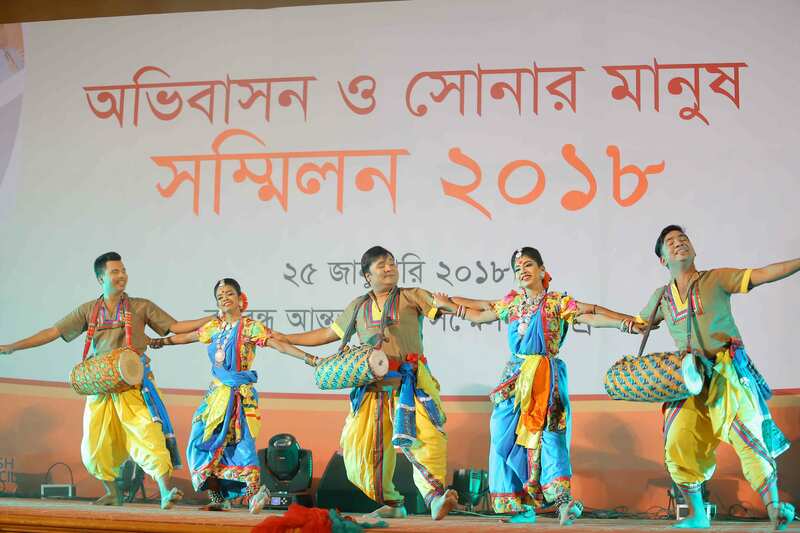 A number of cultural activities also took place during the event such as Musical performance, Puthi Path and Dance Performance. 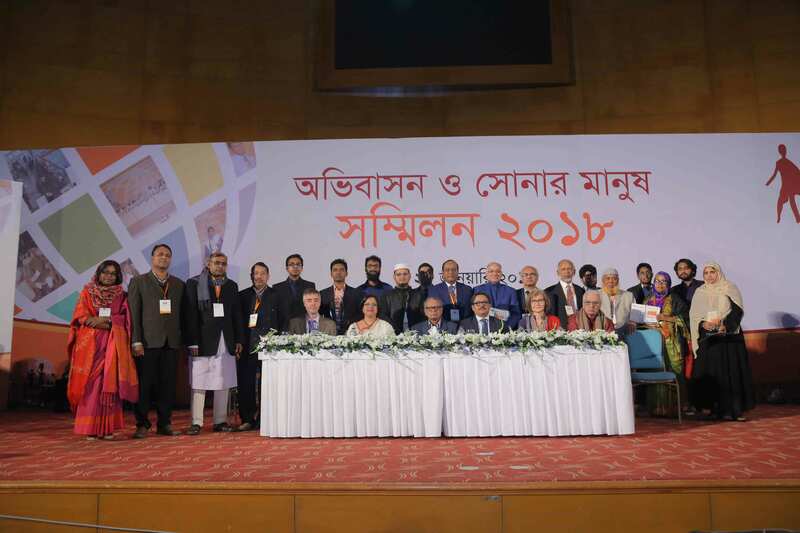 A parliamentary debate on migration was held at the event. 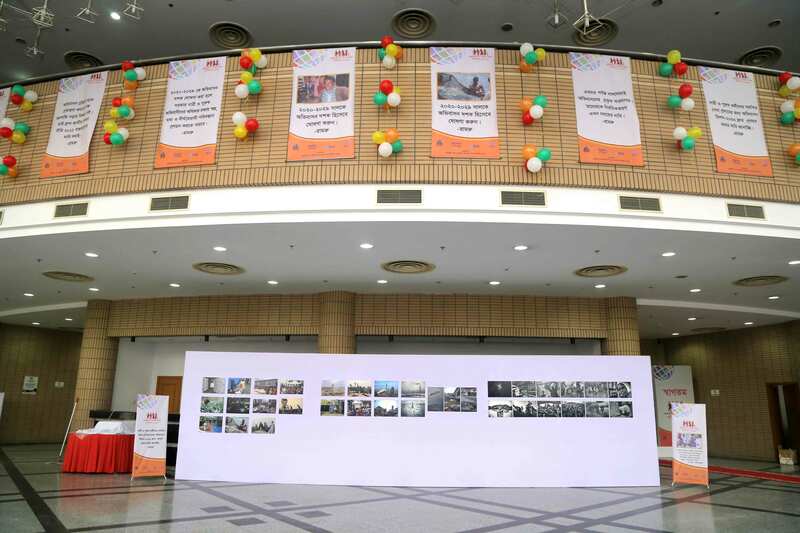 The Shommilon also featured photo exhibition on the theme of migration. 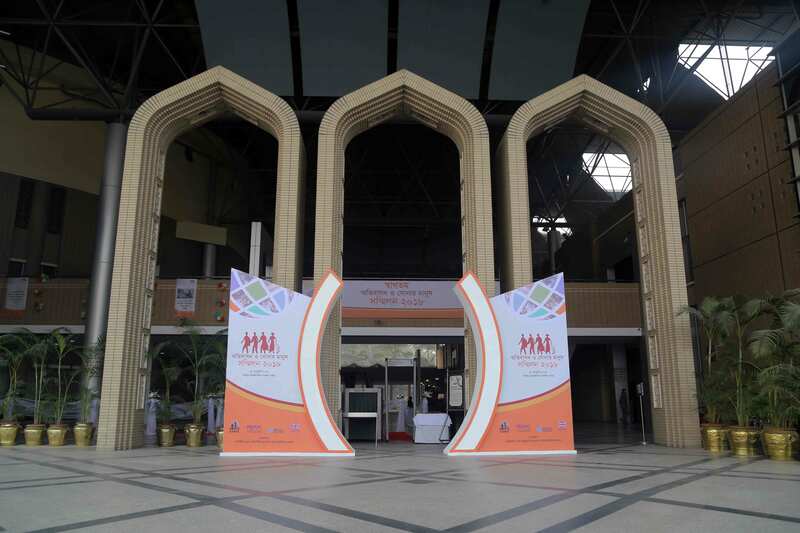 Besides that, small stalls were established at the venue of the event where different organisations including the IBP partners could showcase their activities to the guests and visitors. 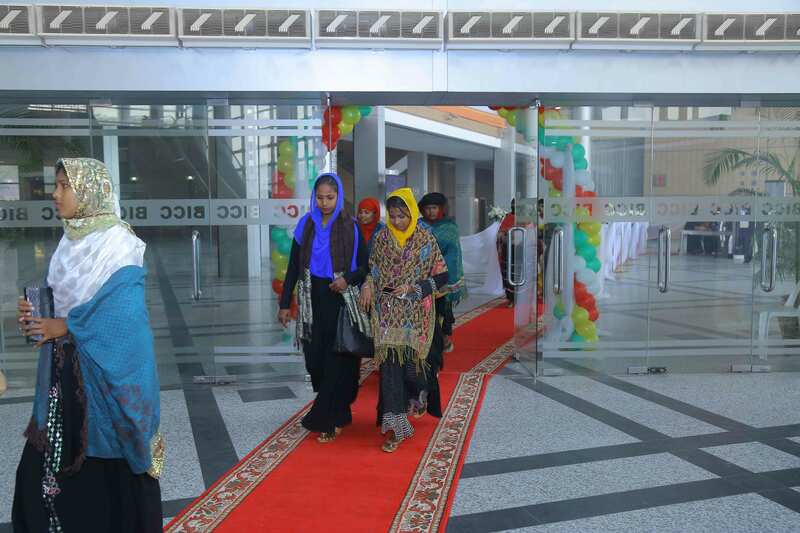 The event was attended by prominent personalities from the country and abroad. 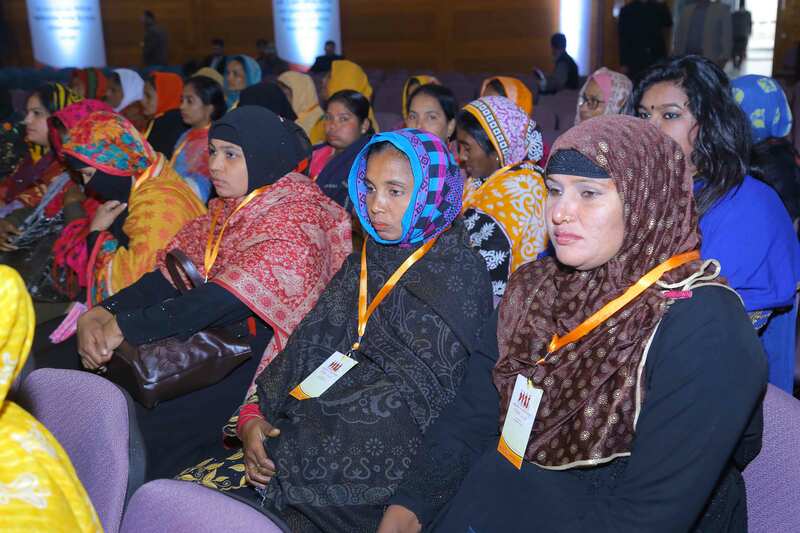 Among other participants the migrant workers, their family members and representatives of the organisations providing migration service were also present. 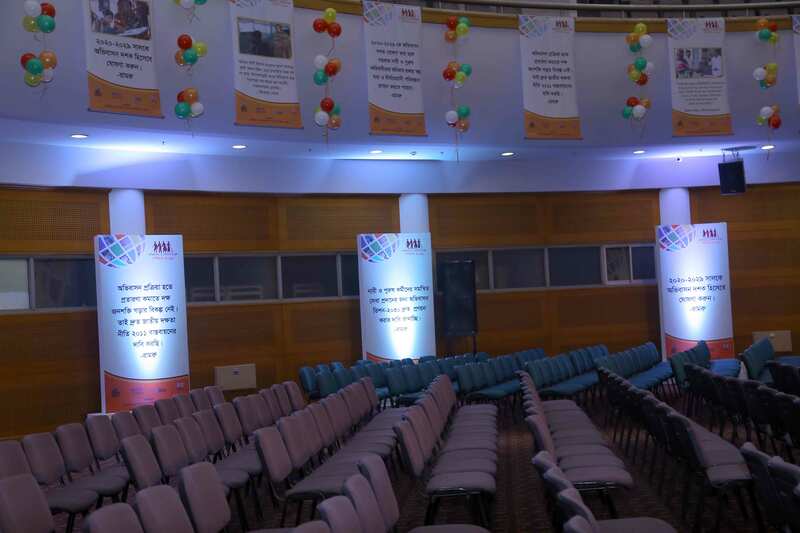 In this Shommilon, RMMRU highlighted the need for adoption of Migration Vision 2030. 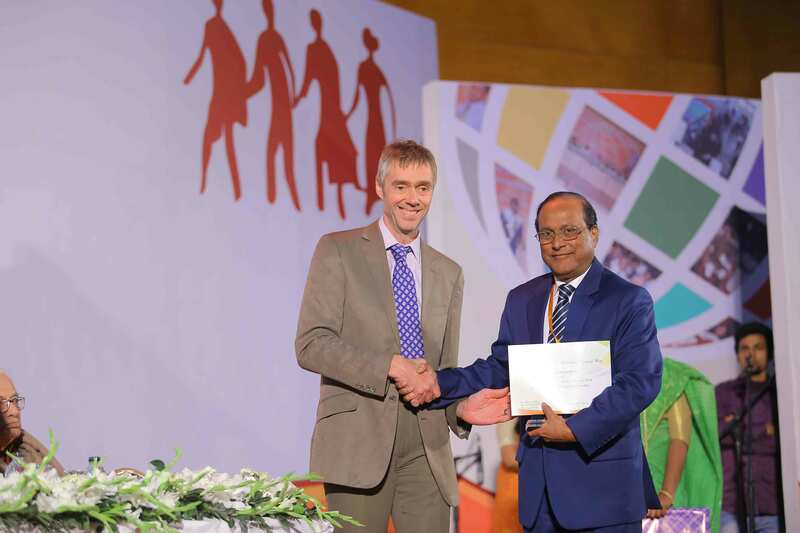 RMMRU proposed the framing of Migration Vision 2030 as it will play a significant role in achieving many of the Sustainable Development Goals, 2030. 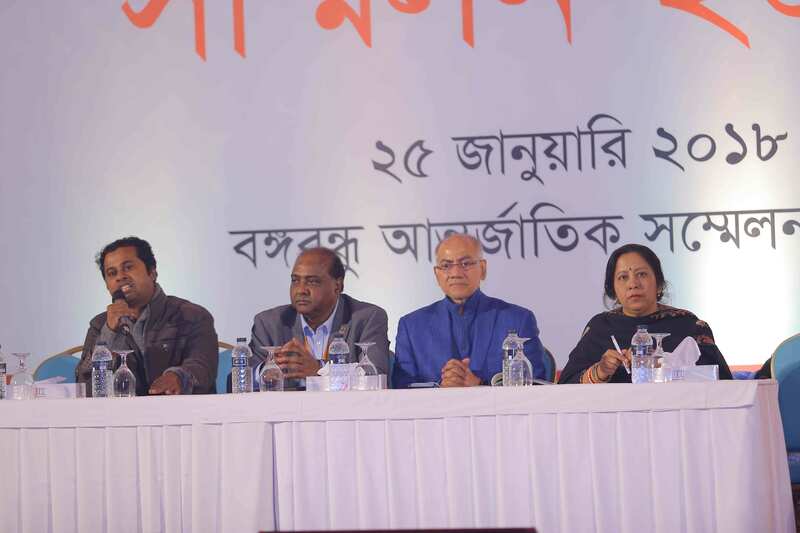 One of the key features of the vision is to declare the years 2020-2029 as decade of migration. 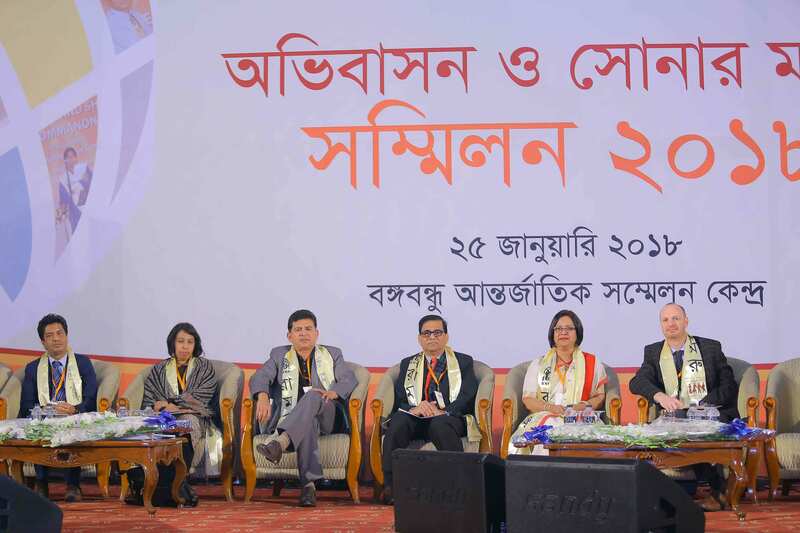 RMMRU aimed for the same because the declaration of 2020-2029 as the decade of migration will help the government to take short, mid and long-term actions to establish good governance in migration sector. 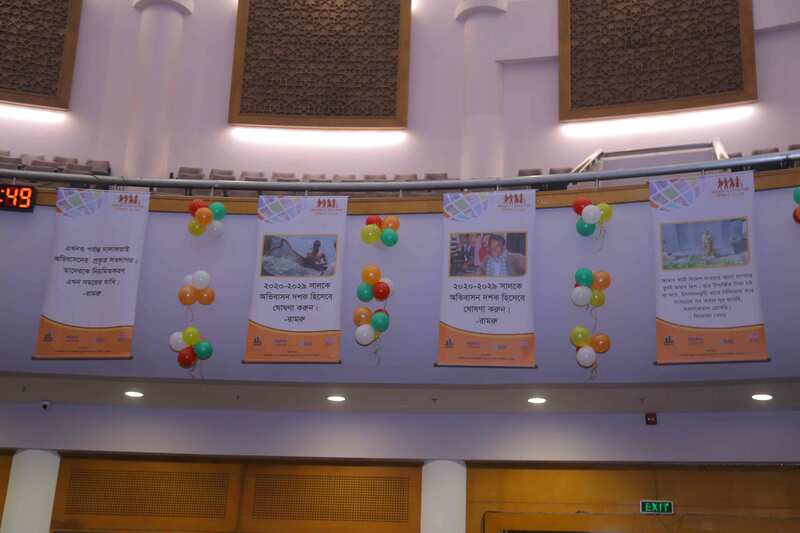 Through festivity of the Shommilon, RMMRU wanted to connect the aspirant, current as well as returnee migrant workers with all types of organisations that work for migrants’ rights and provide services. These include BMET, TTC and DEMO officials, local level lawyers, grass roots, Overseas Employment service providers etc. 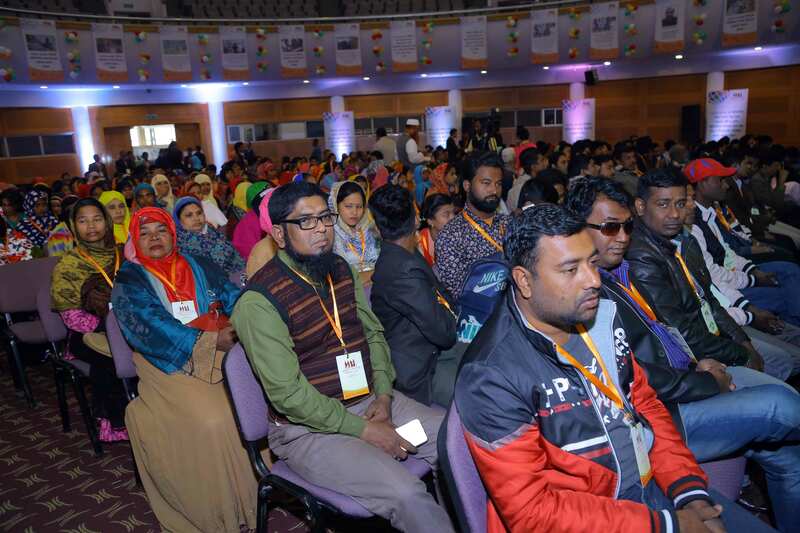 The main objective of this Shommilon also included bringing to the fore the role of invisible dalals in migration and reflect on available policy choices. 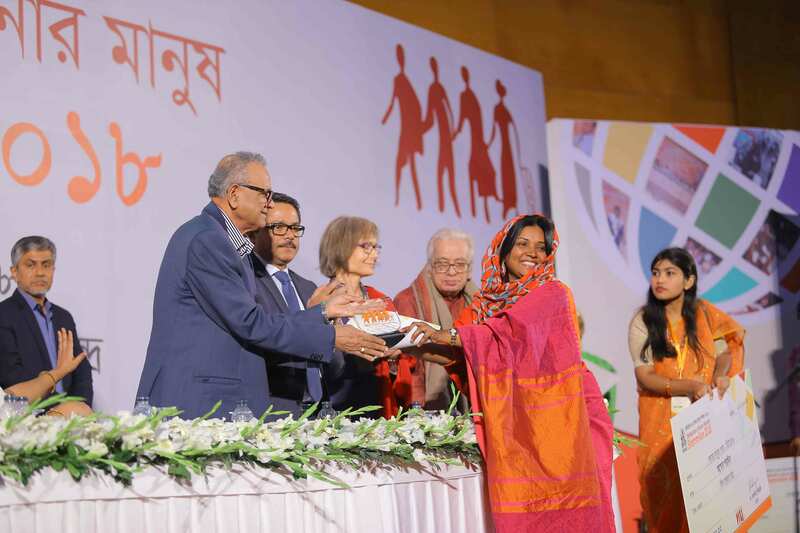 The major goal of the shommilon was to recognise the contributions of the Migrants, their family members, the migration service providers and even the positive engagements of middlemen in the migration through formally awarding them. 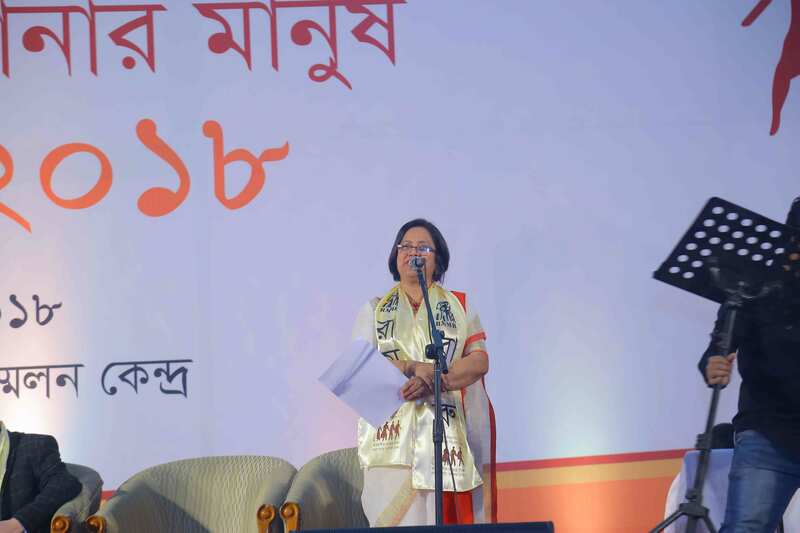 The inaugural session commenced with the welcoming speech of Ms. Marina Sultana, Director, Programme, RMMRU stating the Objectives and Rationale of the Obhibashon o Shonar Manush Shommilon 2018. 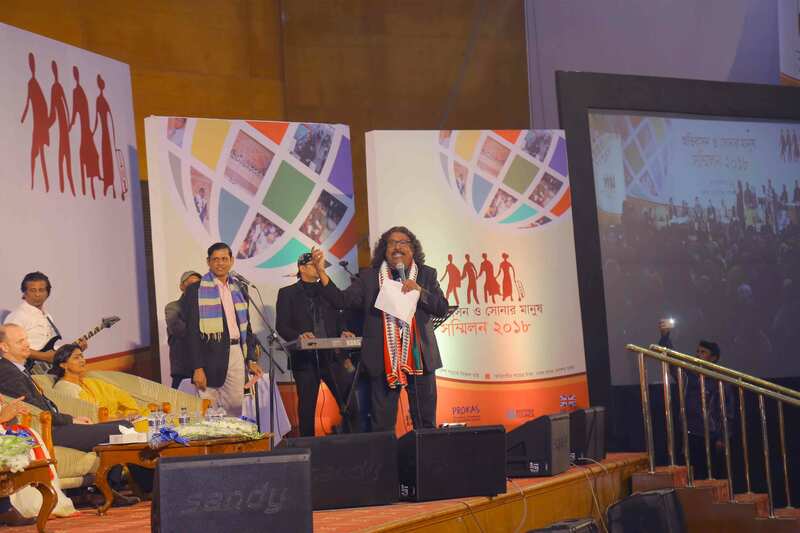 The musical performance by Mr. Fakir Alamgir on the theme of a Migrants’ longing for his loved one left behind’ enchanted everyone in the audience. 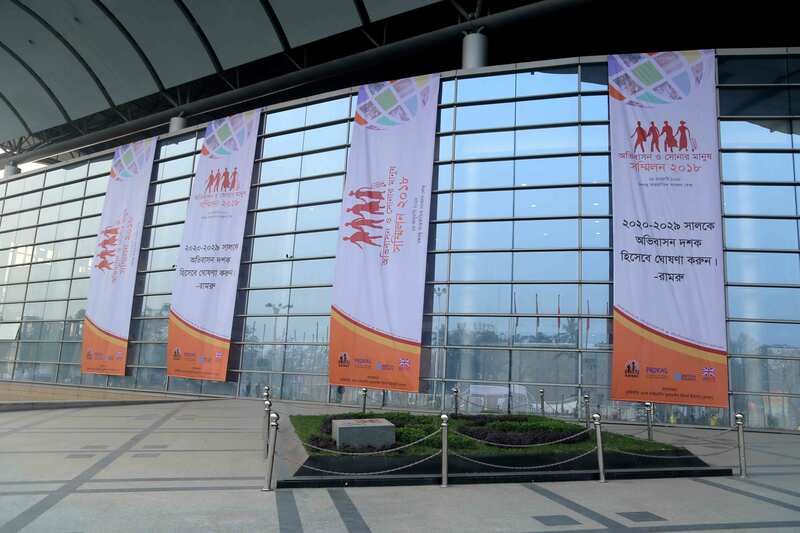 A dialogue on the Vision 2030 for Migration took place in the inaugural session. 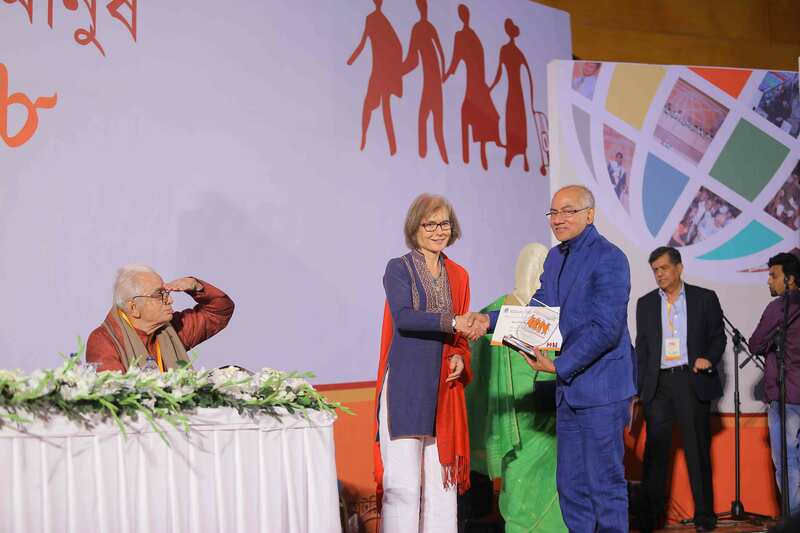 The session was moderated by Dr. Tasneem Siddiqui, Professor, Political Science and Founding, Chair, RMMRU. 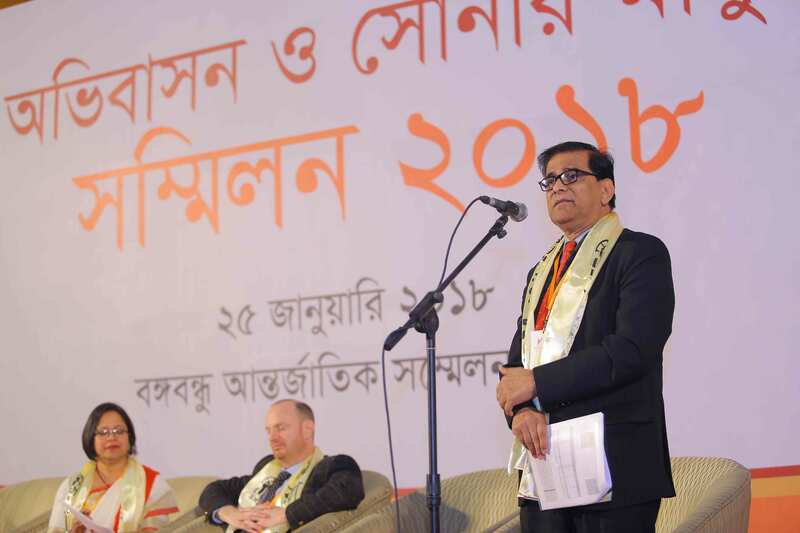 The Chair of the dialogue was Dr. Shamsul Alam, Senior Secretary and Member, Bangladesh Planning Commission. 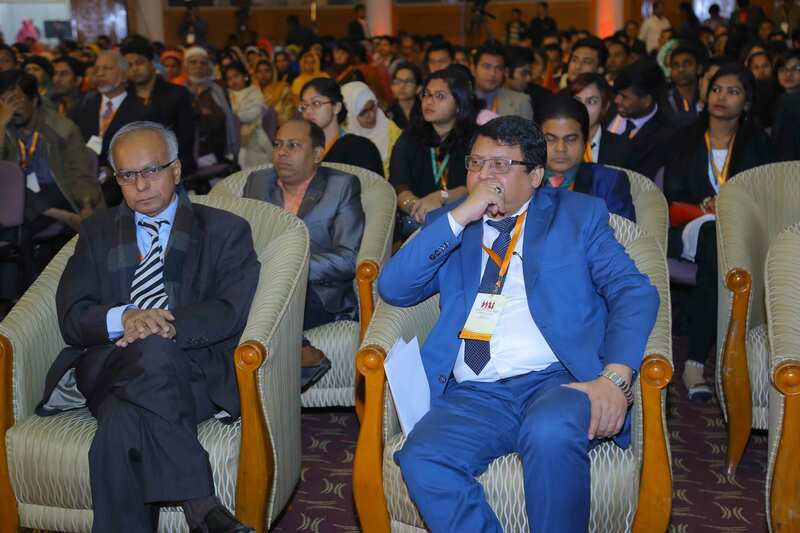 Dr. Hossain Zillur Rahman, Former Advisor, Caretaker Government, Bangladesh, graced the event as the Chief Guest of the inaugural session. 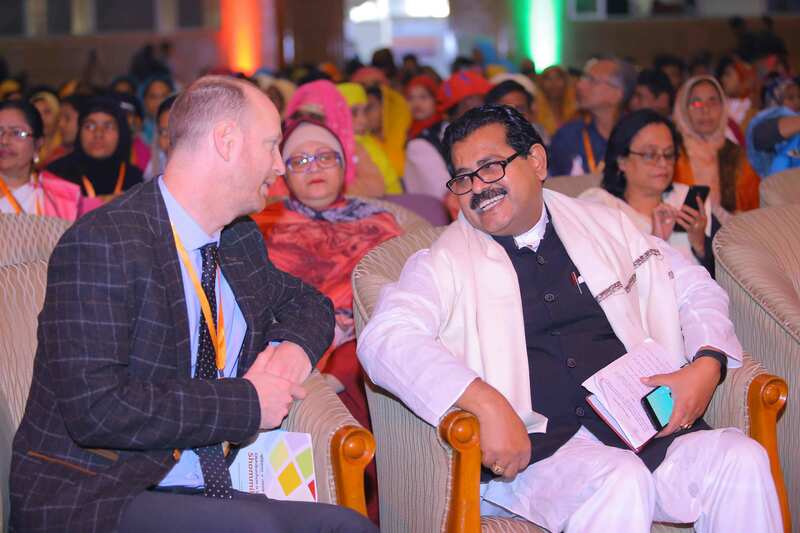 Dr. Shahnaz Karim, Director Society and Team Leader, PROKAS, British Council also attended the event as the Guest of Honour. 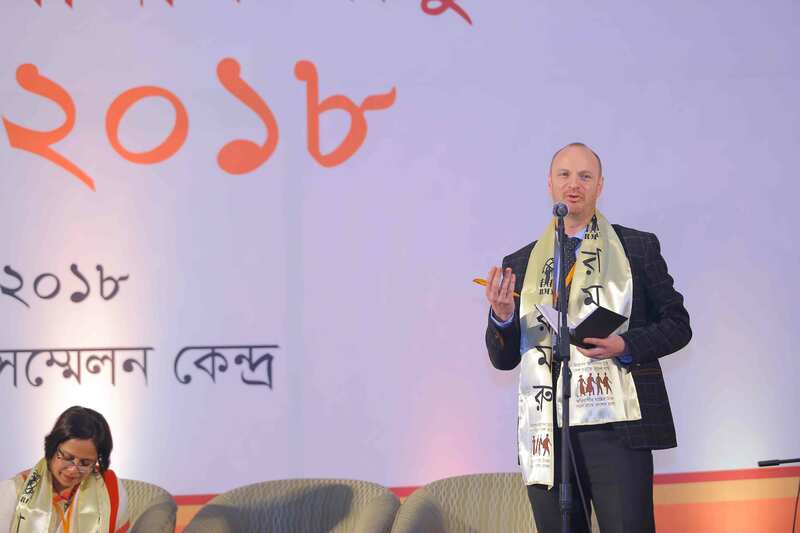 Mr. Joel Harding, Senior Governance Advisor, DFID was present at the event as Special Guest. 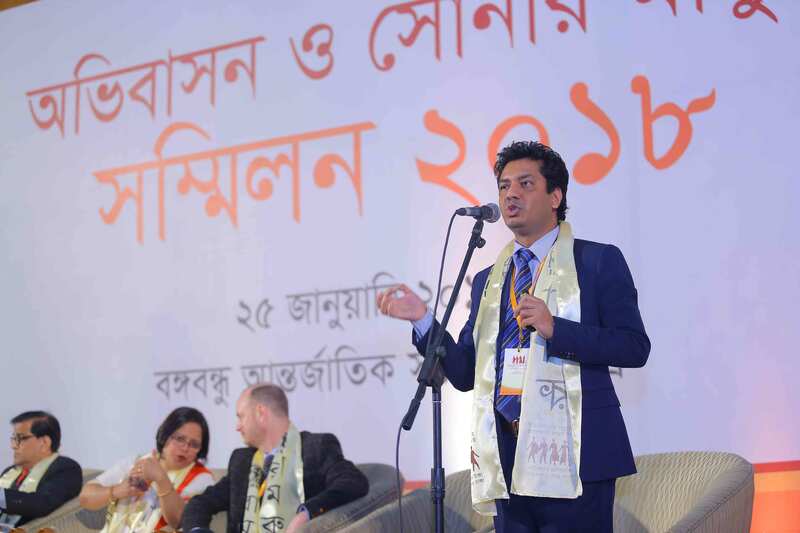 Mr. Tanvir Mahmud, Head of Programmes, PROKAS, British Council was the panel discussant of the inaugural dialogue session. 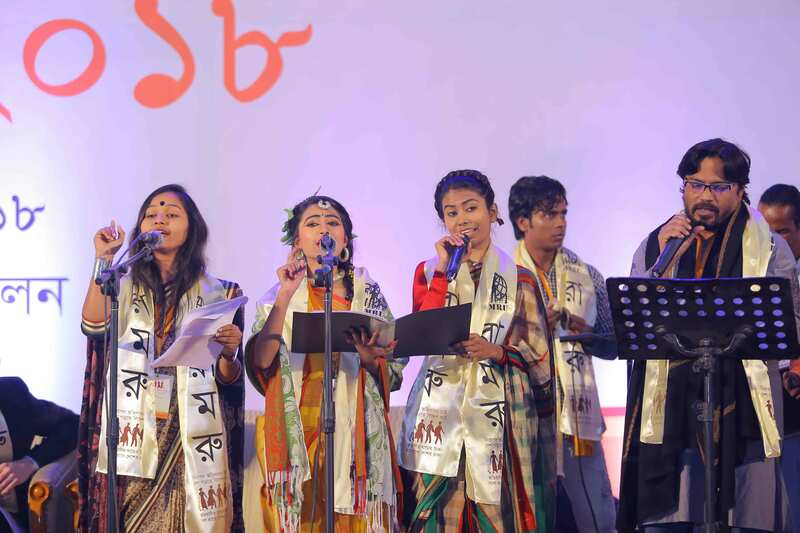 A Puthi Paath by Lokbangla group was performed on the theme of “Ovibashir Sukh Dukkho” or about the happiness and sorrows of a migrant worker. After which the debate session on migration was contested between two student teams Shongshoptok from Jahangirnagar University Debate Organisation and Oporajeyo Bangla from Dhaka University Debating Society. It was part of an interuniversity debate competition which had taken place earlier among 24 public and private universities. 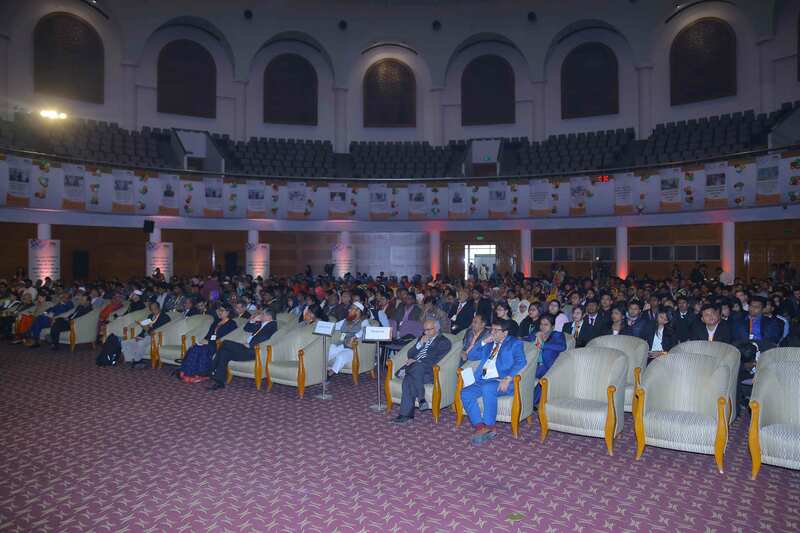 The members of the jury in the debate were prominent personalities Mr. Md. 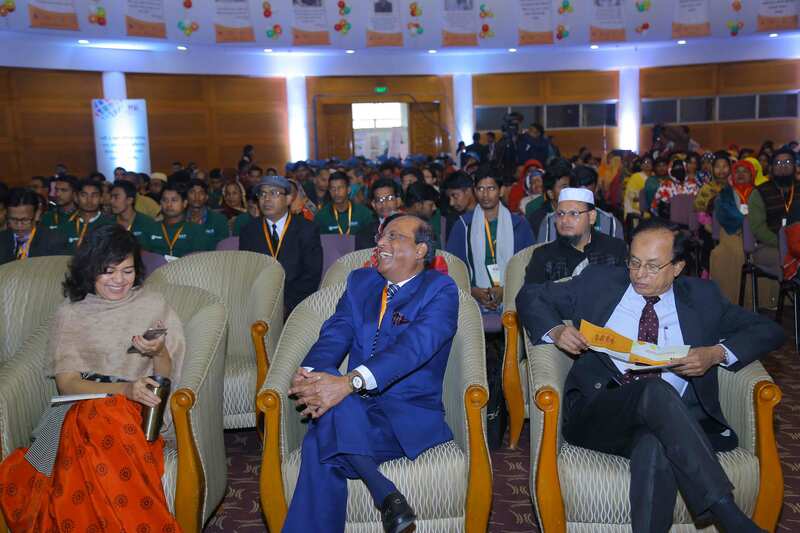 Israfil Alam, MP, Hon’ble Members of Parliament, Mr. Sayeed Siddiqui, Mr. Abdullah Md. 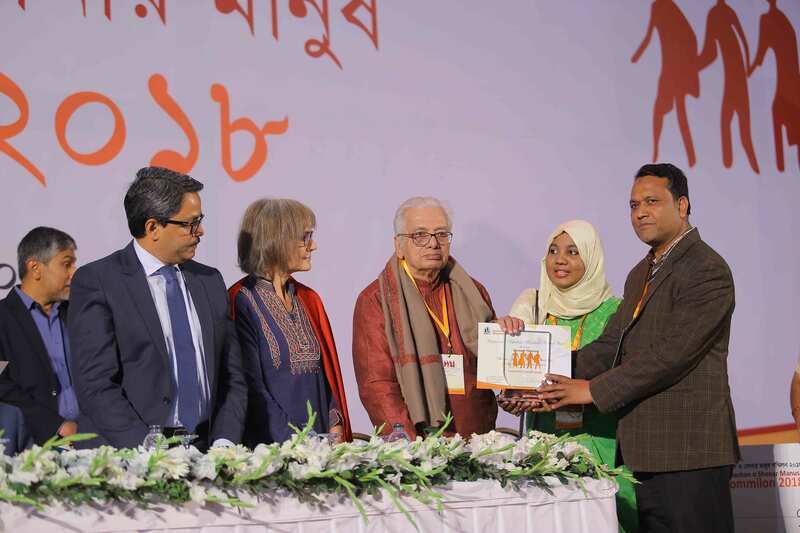 Shukrana, Ms. Dina Afsana and Mr. Shohan Mohaiminul. 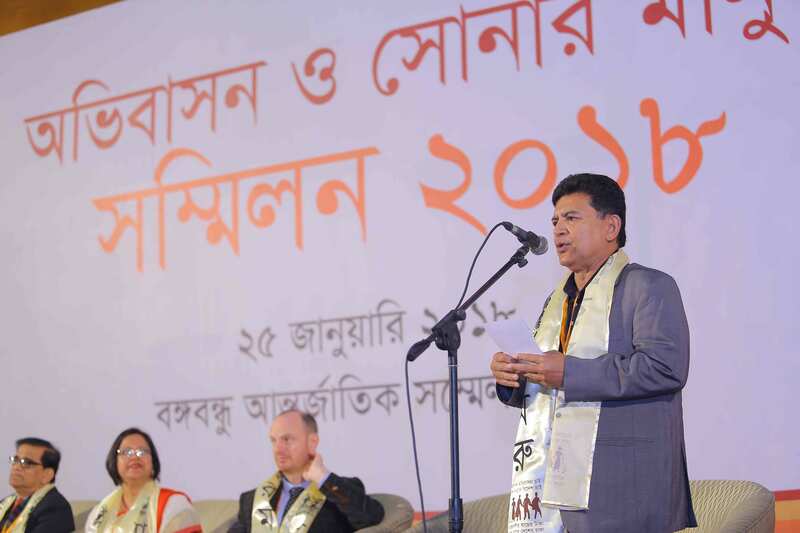 Mr. Mahfuzur Rahman Mishu was the chair of the session. 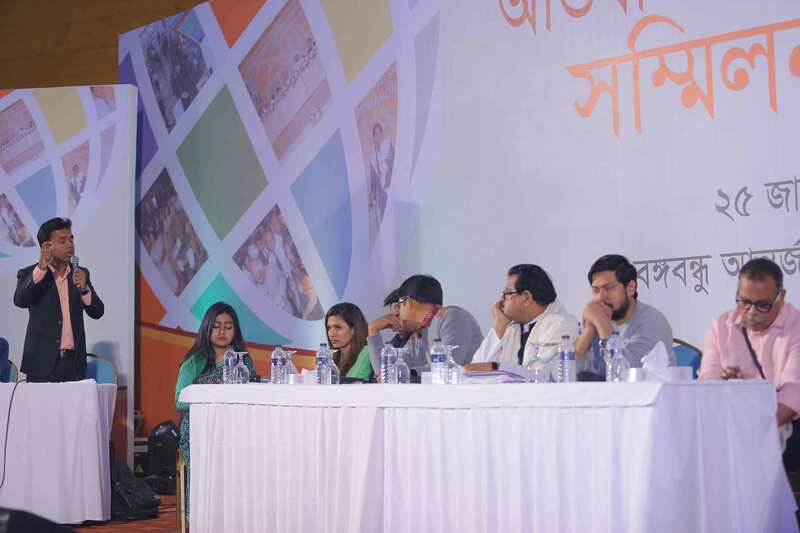 The team Shongshoptok of Jahangirnagar University Debate Organisation was crowned as the champion of the debate. 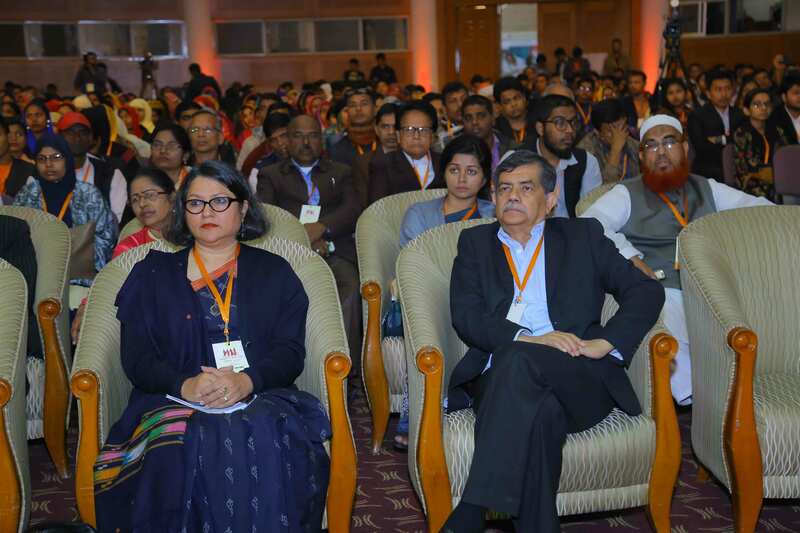 Hon’ble Minister for the Ministry of Expatriates’ Welfare and Overseas Employment Mr. Nurul Islam BSc, MP and Hon’ble State Minister for the Ministry of Foreign Affairs, Mr. Mohammed Shahriar Alam, MP graced the occasion as the Chief guest and the Guest of Honour of the awarding session respectively. 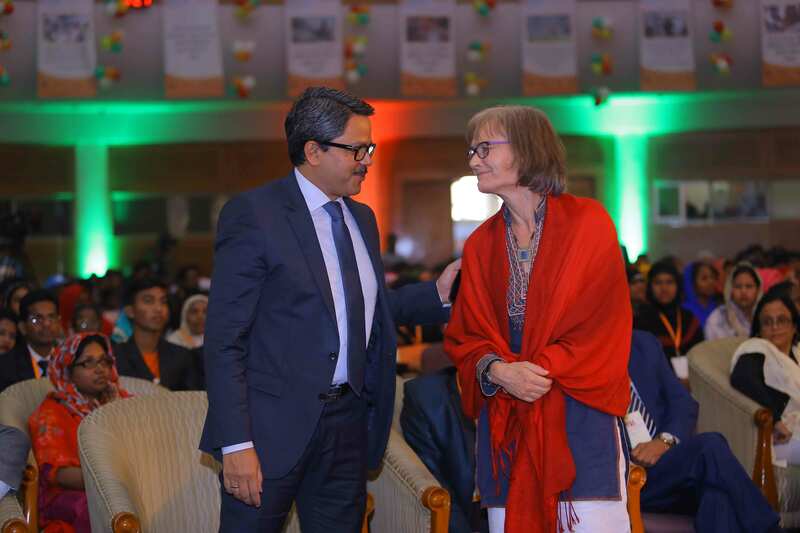 Mr. Jason Potter, Project Director, PROKAS, British Council, Ms. Jane Edmondson, Head, DFID Bangladesh, British High Commission attended the occasion as Special Guest and Guest of Honour. 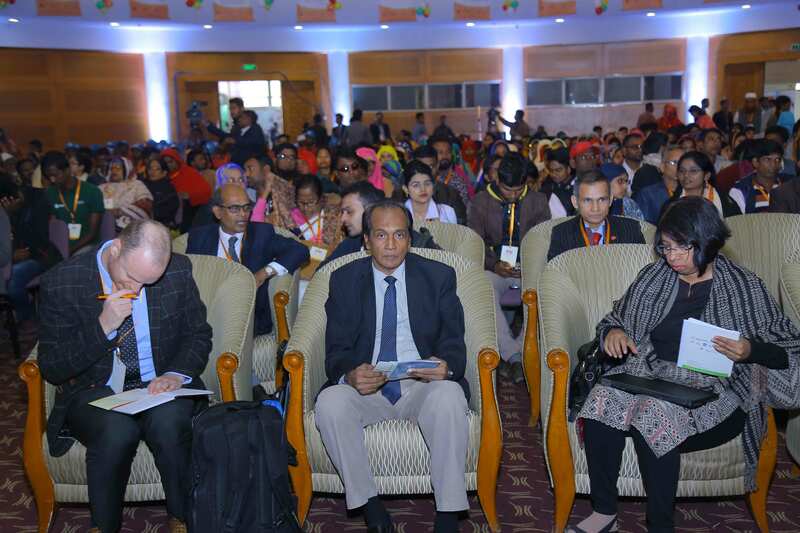 The Chief Guest of the closing and awarding session, Hon’ble Minister for the Ministry of Expatriates’ Welfare and Overseas Employment Mr. Nurul Islam BSc, MP, said, his ministry is working to ensure a safe, regular and systematic approach for aspiring migrant workers. 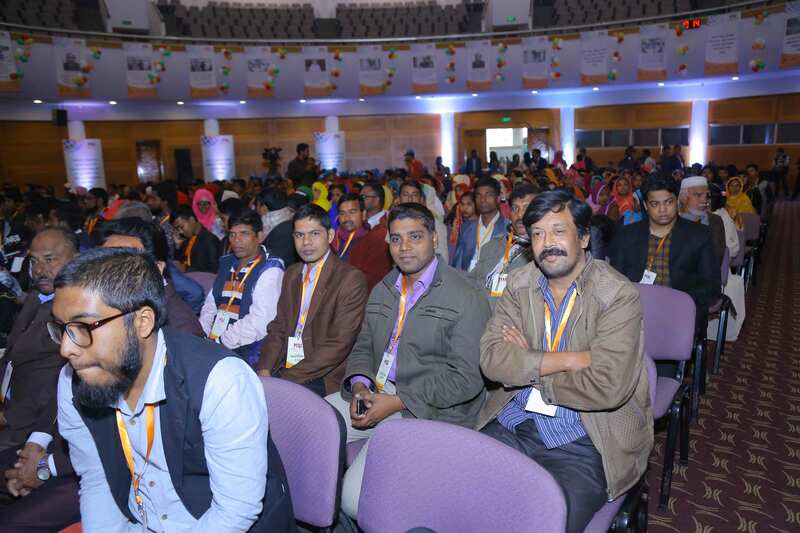 Hon’ble Minister said "Around one crore expatriates from Bangladesh are living in the different countries. Their remittance contributes a lot in our economy. Their relentless contribution has played a vital role to keep the economy smooth during the economic crisis. 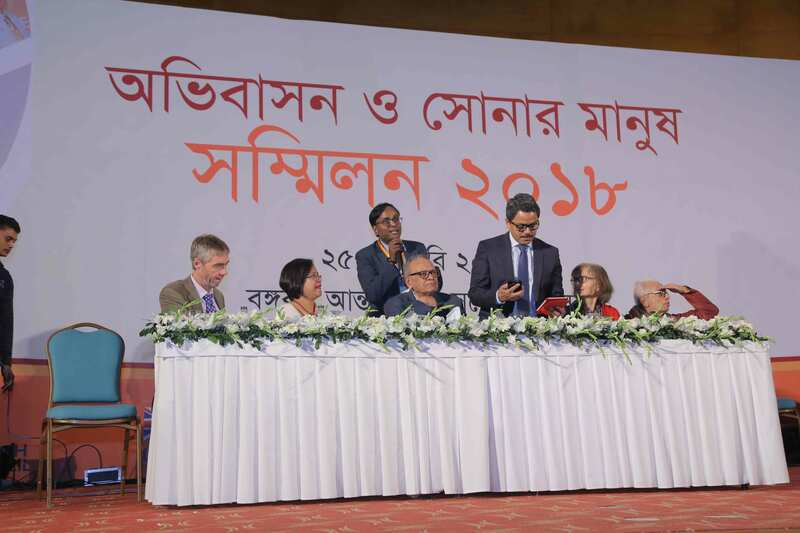 So our main challenge is to ensure the safe, secured and harassment free service to this huge number of expatriates,” Mentioning the different steps to stop the harassment, the Minister further added that “the government is thinking of amending the old law related to immigration. 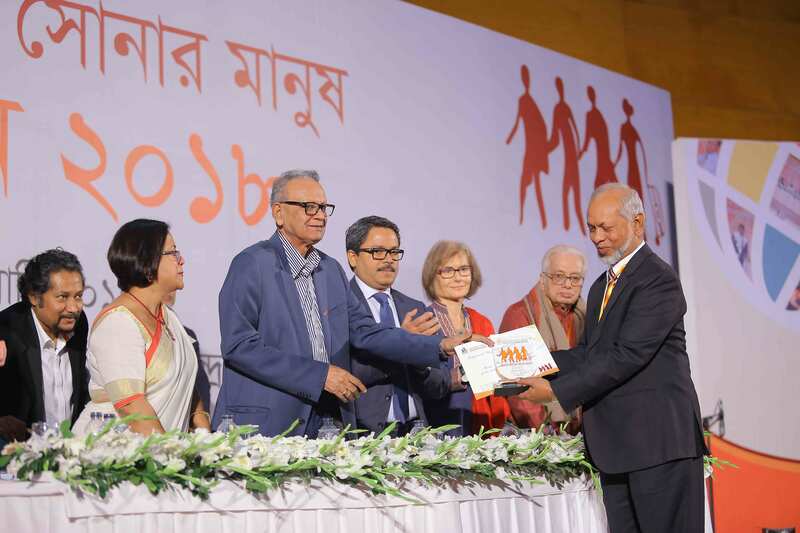 Effective steps are being taken to stop the harassment of migrants due to corruption and different complications." 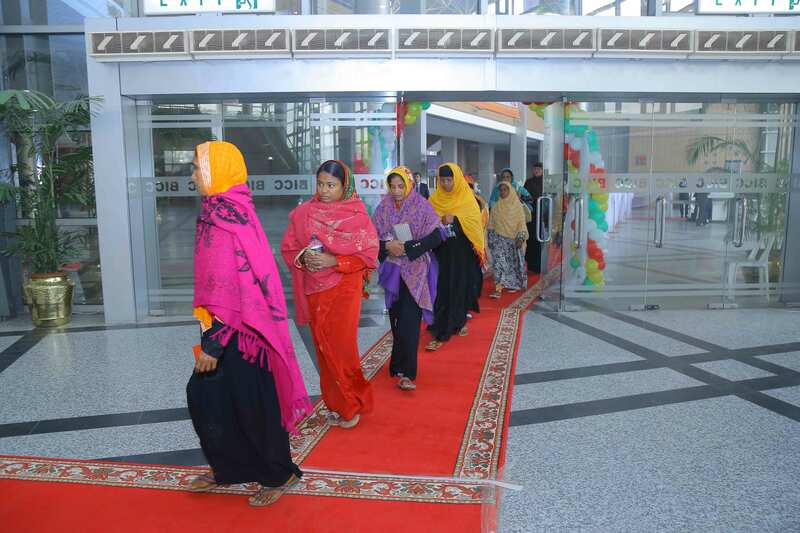 The Shommilon awarded the Returnee migrants and their family members. Mr. Md. 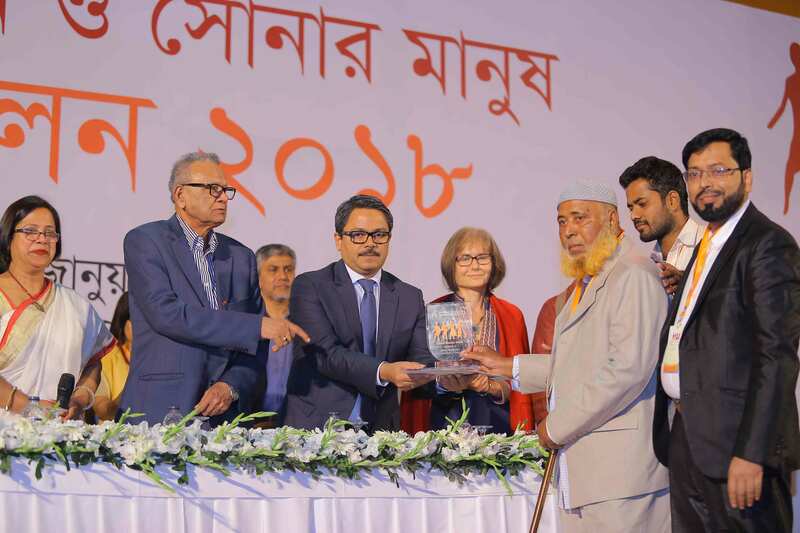 Emdadul Haque and Mr. Alhajj Md. 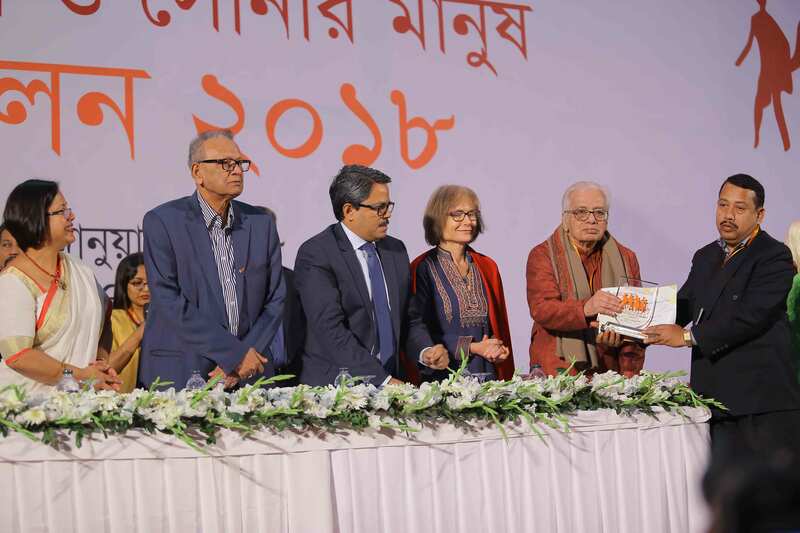 Shahjahan were awarded the Shonar Manush Award. 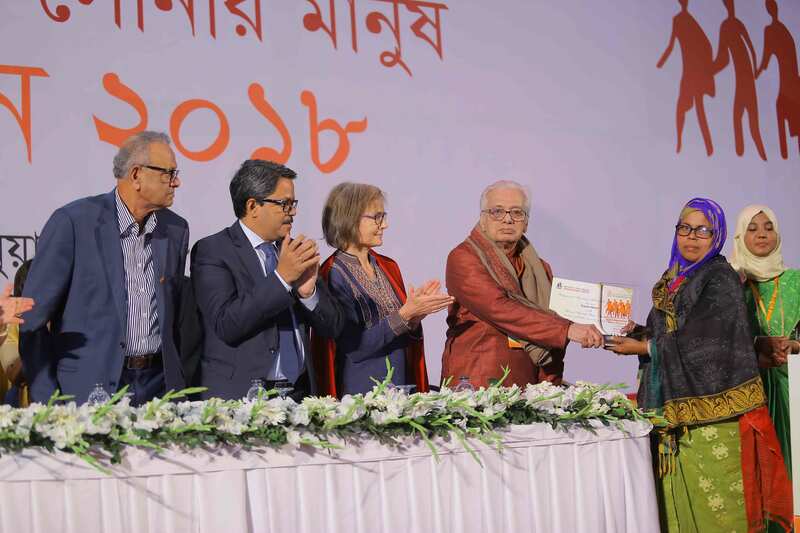 Ms. Feroza Khanam was awarded the Shonar Manush Poribar award. 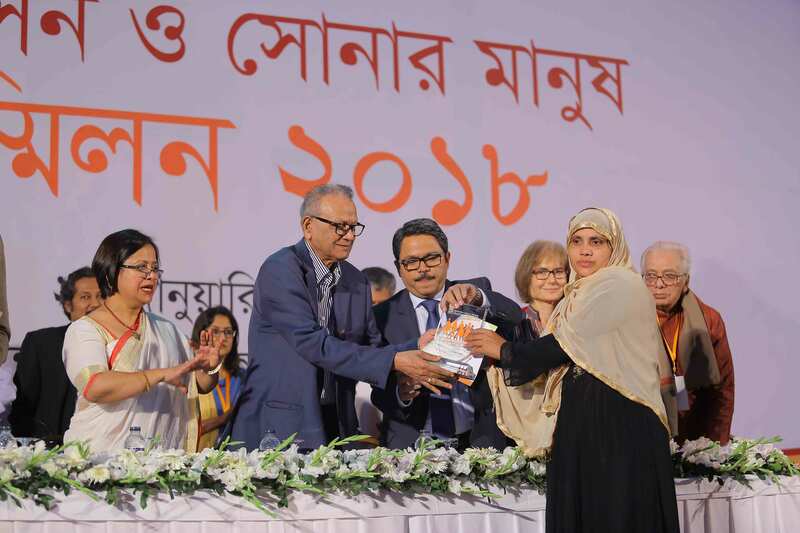 While two officials of District Employment and Manpower Offices (DEMO), Assistant Director Mr. Rahinure Islam from Jessore and Assistant Director Ms. Amena Parvin from Rangpur were awarded. 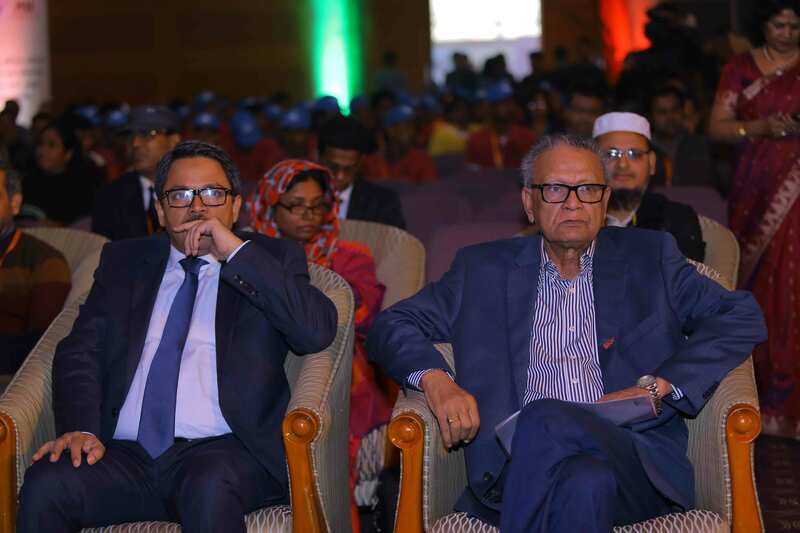 Officials of two Technical Training Centres, Mr. Md Nazrul Islam, Principal of Bangladesh-Korea TTC in Chittagong and Mr. Md. 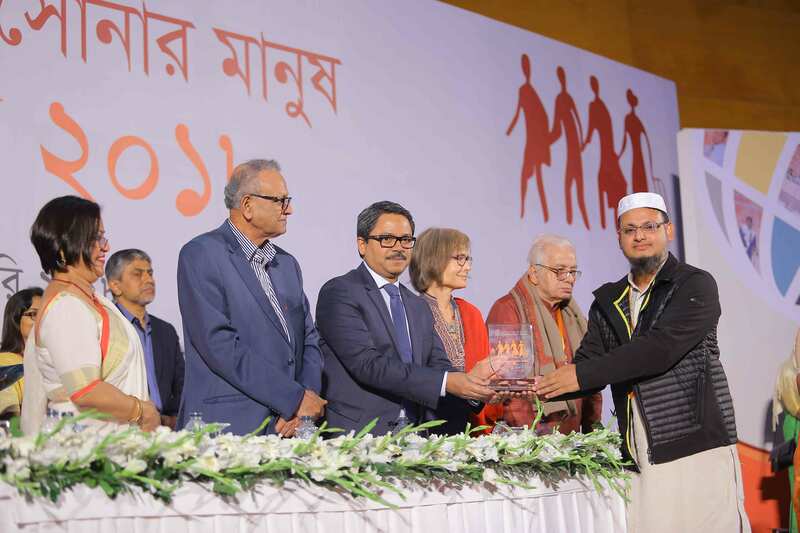 Neaus Sharif from Jessore TTC’s senior instructor were awarded. 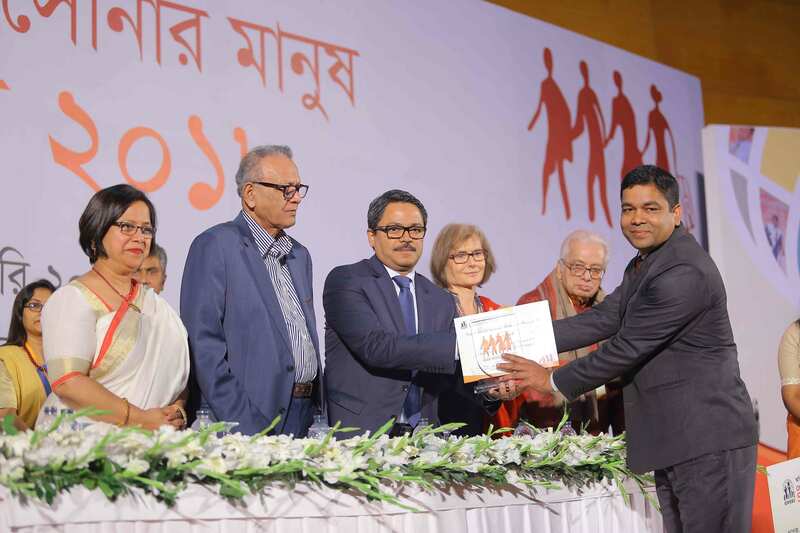 Sub-agents Mr. Nikhil Chandra Pal, Mr. Sanowar Hossain and Ms. Rajeda Akhter, were also awarded at the event. 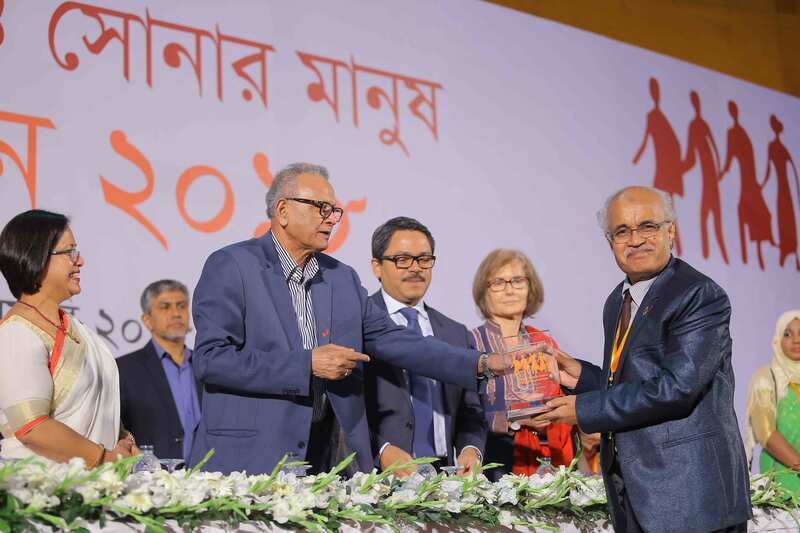 Two heads of recruiting agencies Mr. Ali Haider Chowdhury, Managing Director, NAC International and Mr. Shameem Ahmed Chowdhury Noman, proprietor, Sadia International were awarded with the Shonar Manush Sheba Award for their services. 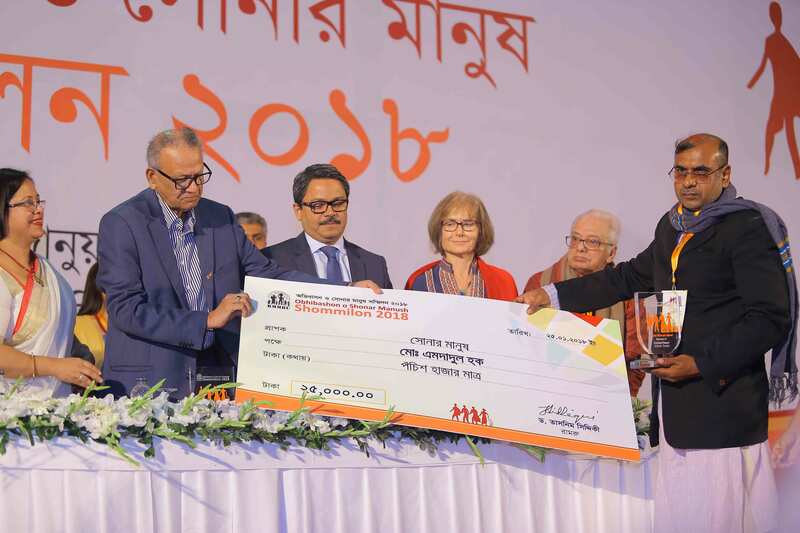 A special award was given to Bureau of Manpower Employment and Training (BMET) for its special contribution in migration sector. 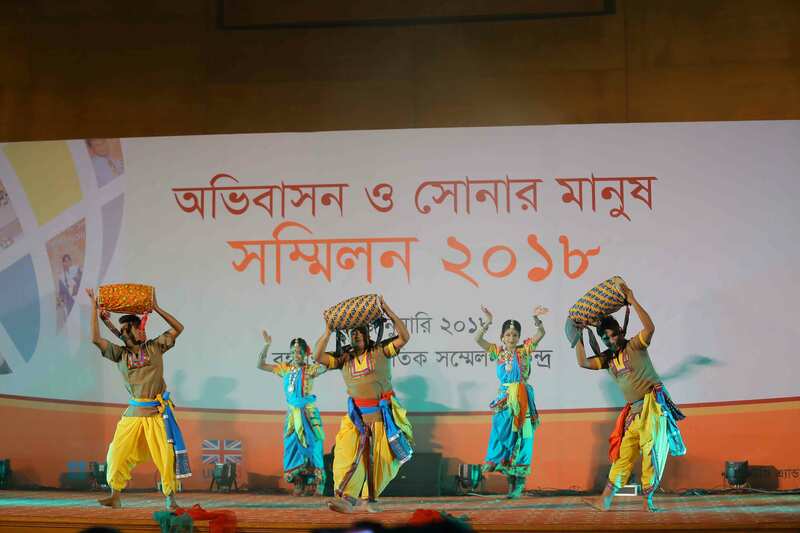 The event ended with a beautiful dance performance by Ms. Tamanna Rahman and her team from Nrityam Dance Teaching Centre, depicting the life of a migrant worker living abroad away from his family.